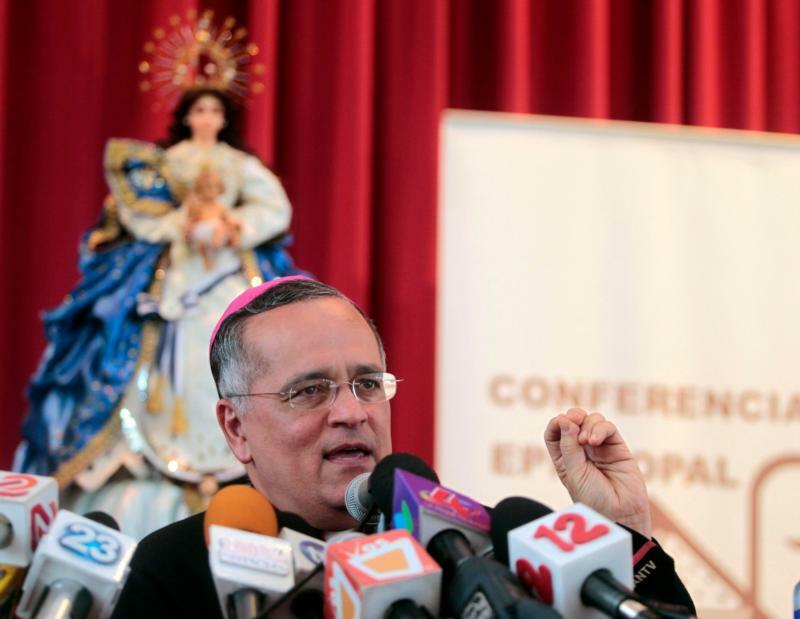 MEXICO CITY (CNS) — The Nicaraguan bishops’ conference has denounced death threats against an outspoken bishop, whose comments on corruption and support for students in the protests consuming the country have been poorly received by those in power. Protests erupted in Nicaragua after the government of President Daniel Ortega announced an increase in fees for the country’s social security system, which critics say was poorly run and rife with corruption. A heavy-handed response kept the protests going and swelled its ranks, especially with students and campesinos, some of whom had grievances over possibly being displaced by the construction of an inter-oceanic canal. The bishops’ conference in Nicaragua has convened a national dialogue, which includes students, campesinos, business leaders and the Ortega government. Bishop Baez has surged to prominence with his support for students in the protest, calls for democracy and concern for the poor. “May those who insult and defame me know, along with those who want me dead, that I am not scared and I will not bend nor will they silence me. My loyalty to Jesus Christ and my love for the people of Nicaragua is stronger than ever,” he tweeted. Brian Strassburger, an American Jesuit scholastic serving in Nicaragua, told Catholic News Service that some in the church are trying to find an exit from the crisis and accompanying protesters — he cited the Franciscan friars who acted as human shields –- but many priests are saying little on the matter in their homilies.